I’m Chris Chan and I am a student at the University of Rutgers, in New Jersey, studying towards a double major in Anthropology and History. 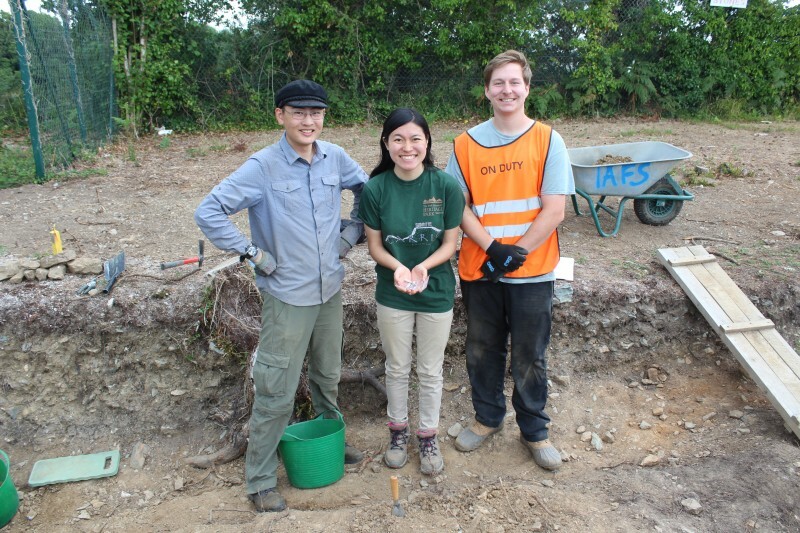 I chose the field school in Ferrycarrig with the Irish Archaeological Field School (IAFS) because I had never been to Ireland before and wanted to experience Irish culture. 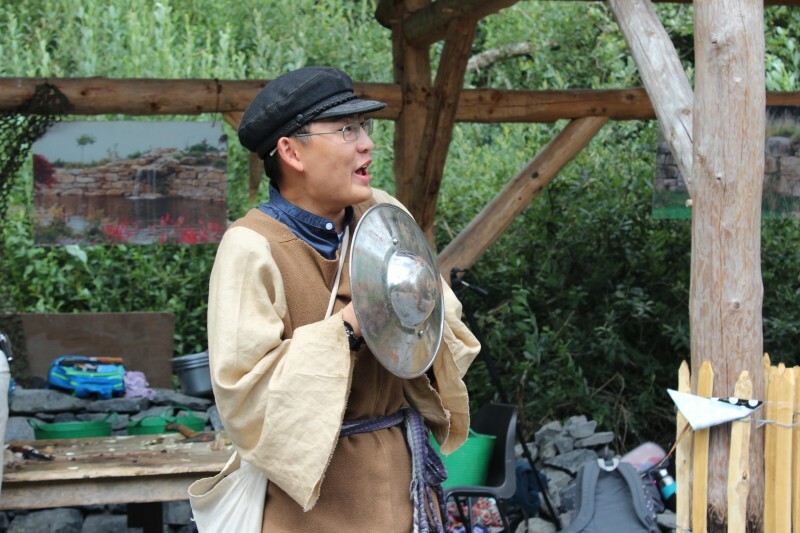 I also liked that the site is set in a public space so we had the opportunity to interact with the public, which is similar to the last field school I participated in, in the United States. I was a bit nervous on the first day of the program, but I had high expectations after reading the syllabus. The first week mostly consisted of field trips around the area. We visited Ferns and Hook Lighthouse to name a couple. All of the tours really provided context to the history of the area and of our site. Once excavation began, I was assigned to work in Cutting 1, the first cutting that the IAFS opened in January. We found a lot of animal bones while digging, which was something I had expected. I was in the cutting with a few other students, and it was nice to be able to chat and get to know them while we worked. The following week, we continued to trowel the cutting. Once we finished, we learned how to take photographs for the site archive. We were also taught how to complete feature sheets. One day this week, I was on the post-ex rotation and learned how to wash animal bones and how to bag and record samples and finds. It definitely helped me to gain a better understanding of how artefacts are processed and recorded. This week, I was also on tour duty. Two students are on duty each day and are responsible for talking to any tourists who visit the site. Because we are located within the Irish National Heritage Park, it is usually busy! After Cutting 1 was completed, my group moved to Cutting 2 north. Here, we had to remove the middle mound of soil between two of Claire Cotter’s (the previous excavator from the 1980’s) trenches. We got through the topsoil easily and then began digging the next layer (Feature 2031). This layer was interesting because it was where most of our unique artefacts were found. Initially, we only found animal bones, but then Sloane found our first major find- an antler from an aquamanile, a 13th century water jug. Later in the week, Melaina found a decorative copper piece that may be a clasp or buckle. Overall, the area was artefact-rich! At the end of the week, we had two lectures by experts Fiona Beglane and Clare McCutcheon. Fiona, a zoo-archaeologist, gave a lecture on animal bones and how to identify the differences between jawbones, femurs, tibias, etc. and also how to identify different species based off their bones. 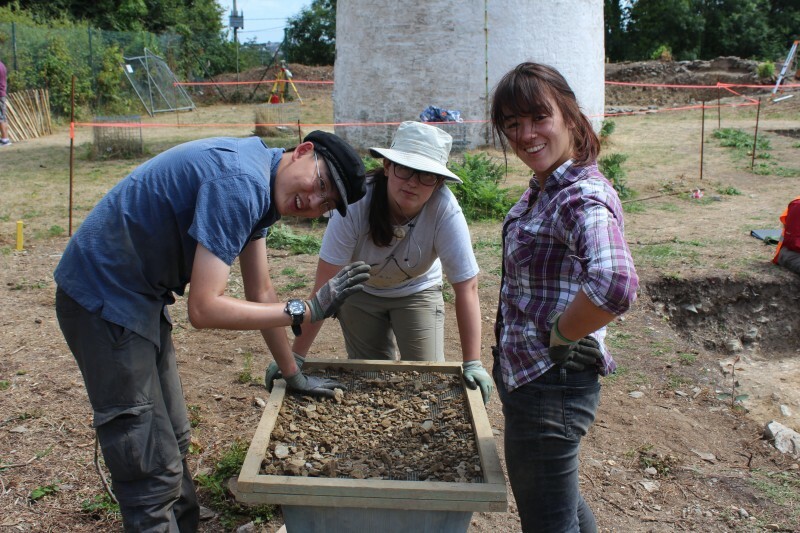 We realized we have been finding a lot of pig bones on site, which is significant because pigs were often only consumed by upper classes during the high medieval period. Clare, a medieval pottery specialist, gave us a lecture on Friday. It was interesting to see and learn about all of the different styles we’ve been finding on site, such as Irish, French, and English sherds. That weekend, I went to Galway with a few of the other students and had great fun. Overall, digging at Ferrycarrig was a good experience. It’s been fun looking for various artefacts, getting to know new archaeological skills and hanging out with very nice people! Intern Dominic reports from Ireland, tired but content after a great first week! A celebratory medieval feast and an overnight in a replica ringfort marked the end of the field school. A rare find made for an exciting week, and we learned more about medieval and post-medieval ceramics in Ireland. Despite a slow week with a lot of the same old, we found some interesting red clay pottery sherds. We reached record-breaking temperatures this week, which was orientation for the new group of IFR students.